Is Technology Good or Bad for Kids With Learning Disabilities? Technology emerged to help us fulfill our highest value. The “Technology Value”: Is there a point when too much technology does a disservice for a child with learning disabilities and goes from assisting to enabling the child? Technology is neither good or bad. It is simply neutral and its outcome is dependent upon how it is used and perceived. Technology emerged to assist us with the fulfillment of our highest value, our “end in mind,” or our “telos”. Our technology emerged to help us fulfill our teleology. It became a means to an end and our highest value or telos became our end in mind. If we see that a particular technology supports our highest value, we label it good. If we see that a particular technology challenges our highest value, we label it bad. Some technologies allow our children to not have to focus on lower priority actions so they can remain creative and can provide advantages. Other technologies may distract our children from mastering their lives. But these decisions are also value determined and each individual will have a slightly different view on the pros and cons of each technology. So, ultimately technologies are neither good nor bad until we choose to make them so. One mother judged her son for wasting his time on that “friggen computer and video games all day” while a 16-year-old. However, seven years later when he was a highly paid IBM IT employee making more money than her, she retracted her judgment and widened her view of the value of what she once condemned and appreciated her son’s diligent efforts. It is wise to prioritize our actions each day to raise our self-worth and to more effectively fulfill our highest values. Technology is here to stay. It is wise for us all to appreciate its purpose and use it moderately and wisely. To live an extraordinary life is something that everyone desires, yet becomes a challenging task for many parents raising children with special needs. Parents are oftentimes overwhelmed with the day-to-day caretaking of children with disabilities and devote so much of their attention and energy on their children, while overlooking their own well-being. What advice would you give parents who are struggling to find a balance in their own lives with their own well-being, while taking care of their child’s needs? Our children can tell when we have buried emotions and frustrations or when we are sacrificing ourselves and beginning to resent it. It is wise to make a list of everything we do for our special needs child and make sure we are truly doing what is most meaningful, productive and in the long run caring. Becoming bogged down in lower priority activities or responsibilities revolving around our children is unwise. Teaching them how to prioritize their lives by becoming an example of efficient living is wise. Delegating what can be delegated and holding our children with as much accountability as possible is caring in the long run. If you can produce more by working, than the cost of doing lower priority actions at home, then it is worth to work and delegate these actions. This allows great quality time for the parents and child. Capturing your child excelling at things and rewarding small weekly growth can enhance the speed of their autonomy. It is unwise to the child of capacities and achievements they are capable of. Burning out doing lower priority actions works against both the parents and the child. Being honest as a parent with expectations can prevent burnout and resentment or regret. What advice would you give for children with learning disabilities who struggle academically and lose motivation to succeed? How could they change their own values/perception about themselves and achieve fulfillment throughout their lives? Anything that children can’t see helping them fulfill their highest values they will become disengaged from (ADD). But anything they see as “on the way” and not “in the way” they will embrace and wholeheartedly learn (ASO). By linking whatever children are to learn to their top three highest values we can awaken their engagement. Have them ask themselves, “How specifically will studying this particular topic, class or item help them fulfill their top three highest values or whatever is truly most important.” The greater the number of answers or links discovered and written, the greater the engagement and participation in learning or in class. The more any topic is thoroughly linked to our child’s highest value, the more they will absorb, retain and utilize what they have learned. Children are fully engaged in learning what is most important to them. They love tackling the next more challenging video game once it hits the market when they love video games. Therefore, link everything that they need to learn to their highest value and watch their genius spontaneously emerge. Some of our children’s values are evolving through time. Decade by decade some of our children’s values slowly change. The more benefits we associate or stack up in connection with one of their particular values, the higher it will rise on their hierarchy of values. The more drawbacks we associate or stack up in connection with one of their particular values, the lower it will fall on their hierarchy of values. By asking questions about the benefits or drawbacks of any one value we can reposition it on their hierarchy of values. It is wise to either do what we love by delegating lower priority actions or loving what we do by linking and changing values to match what we would love to do, or learn. To identify your or your child’s hierarchy of values, go to www.drdemartini.com and click Demartini Value Determination then click Determine Your Values. From there, type your email address and a free booklet on how to determine your values will be sent to you. Complete this 13-step method and discover the key to your child’s and your own inner genius. 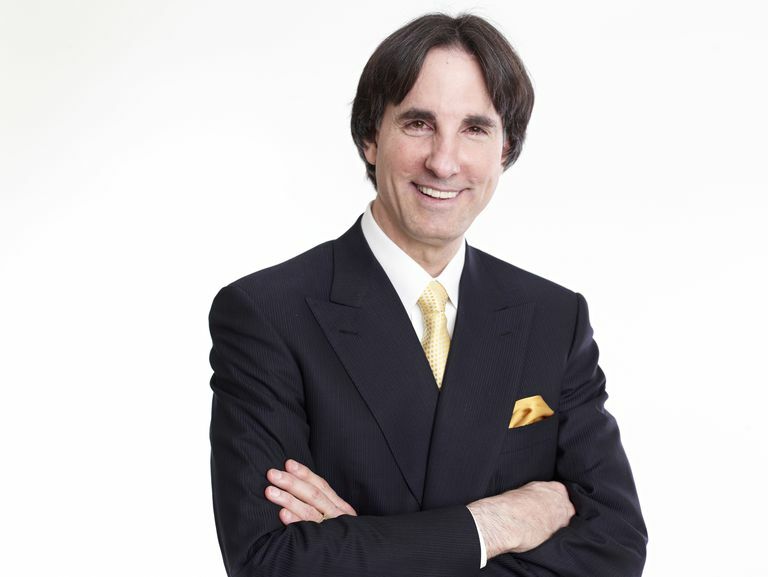 Dr. John Demartini is a human behavioural specialist, educator, international best-selling author and founder of the Demartini Institute.